Winter is right around the corner and so is the cold weather. Most of us look forward to the winter chill because this means warm coats, cozying up by the fireplace and holidays, however for some of us the season brings about more than just the chills. Those of us who suffer from bone, muscle aches or nerve pain usually tend to feel it more intensely as the weather get colder and gloomier. There are a few reasons this occurs. Barometric pressure, something we all have heard about yet know very little about is said to be a culprit. Barometric pressure is the pressure that air puts forth in our surrounding environment. The pressure puts strain on the expansion and the contraction of tissues and fluids in our body. A drop in pressure allows tissues to expand and fill the space, already sensitive or inflamed tissues swell even more and cause increased pain. Some researchers believe that seasonal increase in pain is linked to what experts call SAD or seasonal affective disorder or seasonal depression. Because our brain is a powerful mechanisms that has an impact on everything that has to do with our bodies, seasonal depression can cause us to have drops in serotonin, which in had make us feel sluggish, less blood flow and the stiffer and sadder we get, the more achy we feel. A third and perhaps the most explanatory reason for our winter aches and pains is the fact that we like to keep warm! When we are indoors we turn up that heat so our muscles and bones feel relaxed, once we step outside they contract rapidly due to the cold also causing less blood flow and therefore feeling more muscle pain. This can be extremely tedious especially to those with previous muscle injuries or surgeries, yet none of us want to spend all winter taking painkillers. With the idea of staying healthy this season why not try a topical muscle pain reliever that is affective, easy to use and has no side effects. Cramp911 has been trusted by athletes for sports related injuries and is available for everyone to use instead of prescription or even over the counter medication. The popular topical solution relieves muscle pain on contact and works on different types of pain especially the uncomfortable aching caused by the cold weather. Muscle cramps and spasms are painful and involuntary and can happen to people of all ages, including children, young athletes and the elderly. They often result in the inability to use affected muscles, anywhere from minutes to hours. What causes muscle spasms and cramps? Research has shown that they are caused by a variety of reasons, including overexertion of muscles, dehydration, poor warm-up techniques and not stretching properly. The American Fitness Professionals and Associates has shown that muscle cramping and spasms more frequently occur in high and/or low temperatures. During the colder winter months, athletes can frequently neglect proper hydration. Unlike the hotter summer months where cold beverages help keep athletes more comfortable, athletes tend to neglect proper hydration during the winter because the cooler temperatures may not demand it. For example, year-round runners tend to experience more leg cramps during the winter than the summer as a result of dehydration. There’s natural remedies that specialize in bringing immediate muscle cramp relief. Founded by long practicing pharmacist, Keith DelPrete, Cramp911 aims to bring life changing muscle cramp relief to the public. Once known as the “leg cramp lotion,” amongst locals and renowned athletes alike, Keith DelPrete is now committed to bringing the product to the marketplace. Cramp911 is a unique muscle relaxer that not only brings rapid relief to unexpected muscle cramps and spasms, but it also acts as a preventative lotion that can be applied before you participate in active sports. If you regularly experience nightly leg cramps, you can also apply the lotion to your leg before you go to sleep, in order to help prevent cramping. World-class athletes use Cramp911. 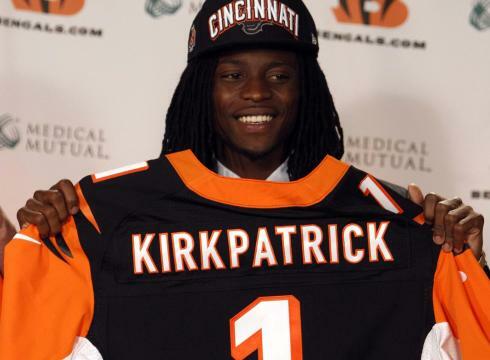 Cincinnati Bengals’ cornerback, Dre Kirtpatrick, regularly uses Cramp911 in order to help loosen his body and muscles. During the winter months, Cramp911 helps the NFL star cornerback avoid muscle cramps, spasms and tightness. Ryan Bedford, world champion and Olympian speed skater, continues to be the brand’s ambassador. As both a short and long track skater who has been skating since he was five, Ryan has also been a long time sufferer of muscle spasms. While using Cramp911, he noticed improvements and less muscle spasms, and continued to use it during practice and competitions. He is now retired, but continues to endorse Cramp911. 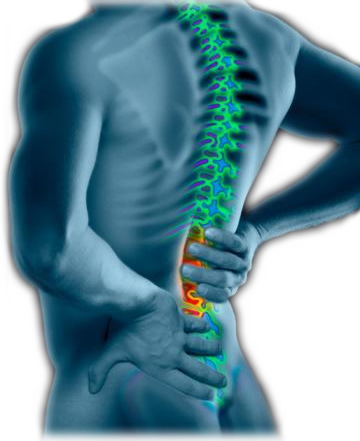 We know how debilitating and painful muscle cramps and spasms can be. Cramp911 is not only meant to be used by top athletes, but anyone who experiences cramps. If you regularly have muscle cramps and spasms, there is an affordable and convenient way to treat them, as well as to prevent them. During the next upcoming winter months, try out Cramp911 and see what a difference it can make in your active lifestyle.